Our strike rate for perfect weather on our season opening days has taken a hit again this year. The quite strong westerlies kept many boats in the marina or on their moorings. Now two weeks into the point score season with one Bay race and one Pursuit race completed. There have been a couple of absentees so far, mainly due to crew availability. This coming week we have the first of the RK Robertson’s interclub series. Please get and read the Sailing Instructions. There are a couple of differences. One is the requirement to ‘Log-on’. You also need to check which division you will be racing in. It may not line up with LMYC divisions. The divisions are up on our web site http://www.lmycraceresults.com.au/results/2018/tyrkr/shield+2-3/series.htm and will be posted on the notice board in our club. Only a couple of weeks left in the winter series last race 3 October and the spring series starting in the following week 10 October. With the start of the spring season will be the return to two division on Wednesday as well as a change to the start times. Please check the sailing instructions and the program. Since last newsletter, The front runners have swapped places on the leader board with Len Lavis in Xstatic now leading Dave Nichols, eXcessive by six points, with the fight for 3rd place being hotly fort by no less than five yachts. Friday Twilights start back on 12 October. A reminder that the first three weeks will start at 17:30. We will again run a Ladies Skipper series on selected Fridays over the coming season. 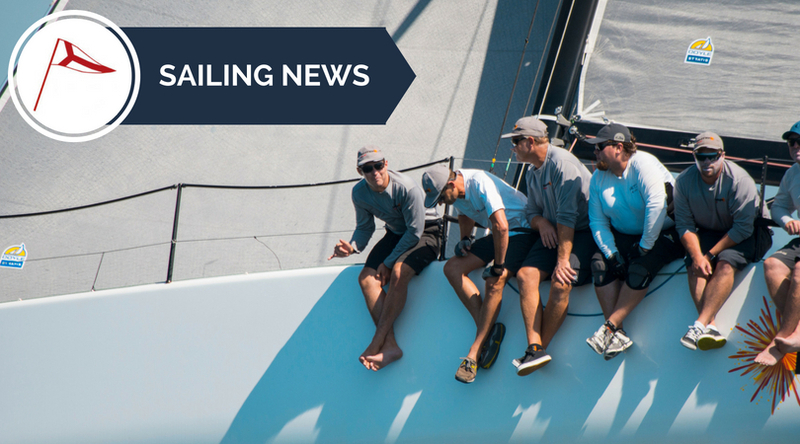 Equinox suffered in the lighter breezes in the last days of the Race week but still managed to finish 9th in their division. Well done Phil and crew. Apologies to Anthony Patterson and crew of Tow Truck. I missed reporting on their inclusion in HIRW. Anthony finished 12th in division with two fastest times and one first place. See photo of Tow Truck screaming to a fastest time.